Properties in Tanglewood Estates average 4.7 out of 5 stars. 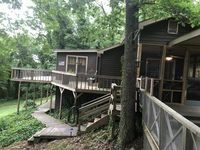 Property 1: Lakeside Cabin in Hot Springs National Park! NEW! Lake Hamilton Home w/Deck, Boat Slip & Grill! Property 3: NEW! Lake Hamilton Home w/Deck, Boat Slip & Grill! Property 4: Large Luxury Lake Front Condo on Lake Hamilton! Spring & Summer book up fast! Property 6: Recently remodeled condo at The Landing. Ideal location! Property 10: UPDATED Beautiful Villa on Lake Hamilton ! Property 14: Artist Lake Loft and Gallery. Peaceful and Private. A true lake retreat! NEW! Best views on Lake Hamilton! Awesome Location! Pool and tennis!! Property 16: NEW! Best views on Lake Hamilton! Awesome Location! Pool and tennis!! Property 19: Must see views!!! Cozy, Lake Hamilton Condo! GATED WITH AN AMAZING VIEW, LOCATION & PRIVATE WIFI! Property 22: GATED WITH AN AMAZING VIEW, LOCATION & PRIVATE WIFI! Property 26: Spacious Waterfront 2 Bed,2 Bath with spectacular Lake Hamilton views!!!! Property 30: Beautiful Balcony overlooking Lake Hamilton!! NEWLY REMODELED, WATERFRONT AND GATED WITH COVERED BOAT DOCK! Property 32: NEWLY REMODELED, WATERFRONT AND GATED WITH COVERED BOAT DOCK! Property 34: Special fall rate! 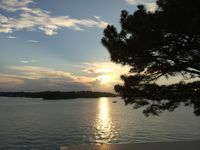 Beautiful lake view condo, balcony sunset, great location. Property 35: New Listing. Lake View. 7 South Location. Property 36: Newly remodeled! Beautiful lake condo with breathtaking view! Property 38: PRETTY Place at Pretti Point just steps away from Lake Hamilton! WIFI and Pool! Book Now for Best View of Memorial Day Fireworks on the Lake! Luxury 2 Bdrm! Property 40: Book Now for Best View of Memorial Day Fireworks on the Lake! Luxury 2 Bdrm! Property 43: Lakefront Luxury on Lake Hamilton! Gorgeous views & newly decorated! BEAUTIFUL Lake Home!! Lake Front!! Amazing Views! Property 44: BEAUTIFUL Lake Home!! Lake Front!! Amazing Views! Best location on the lake, off Hwy 7 South! 2 Masters! Property 45: Best location on the lake, off Hwy 7 South! 2 Masters! Property 49: Best view at The Landing! New owners with great introductory rates. Property 50: Newly Remodeled! Charming Views of Lake Hamilton!! Prime Location! We could not have picked a cozier more affordable place on the lake if we tried. Only an hour from home, we did not have to go far to find this gem. Our girls&rsquo; getaway was perfect for celebrating our friend who just completed her last chemo treatment and was pronounced cancer free! This property had enough room for 5 of us to sit around and chat for hours. The porches were what attracted us to this place and they did not disappoint! Because the weather was lovely, we sat on the porches enjoying God&rsquo;s creation taking in the gorgeous view of the lake. Except for the lawn mowing and the noise from the construction on a house next door (totally out of this owner&rsquo;s control) we found this location to be in a setting conducive to peace and quiet. The place is exactly like the photos. The master bedroom was wonderful with a super comfy bed and a gorgeous view to wake up to. Although this house is dated a bit, John did an excellent job with decorating it to make it very unique and welcoming. It had everything we needed for our stay. Besides the amazing view of the lake, the house is situated in an area where numerous new homes are being built which adds to the charm of the location. Lastly, John was an excellent communicator and was easy to reach at all times. We would love to come back!